Chinese albizia (Albizia chinensis (Osb.) Merr.) is an almost evergreen perennial forage tree legume found in Asia. It is an important browse tree in hilly areas and it is commonly grown as a shade tree in tea or coffee plantations. It can be used as an ornamental and its fallen leaves provide manure (Göhl, 1982). Albizia chinensis is a medium-sized, unarmed, deciduous or evergreen tree that reaches a height of up to 30-43 m. It has a flat spreading crown and its trunk is up to 1-2 m in diameter. The bark is thin, smooth, lenticellate, dark gray in colour. 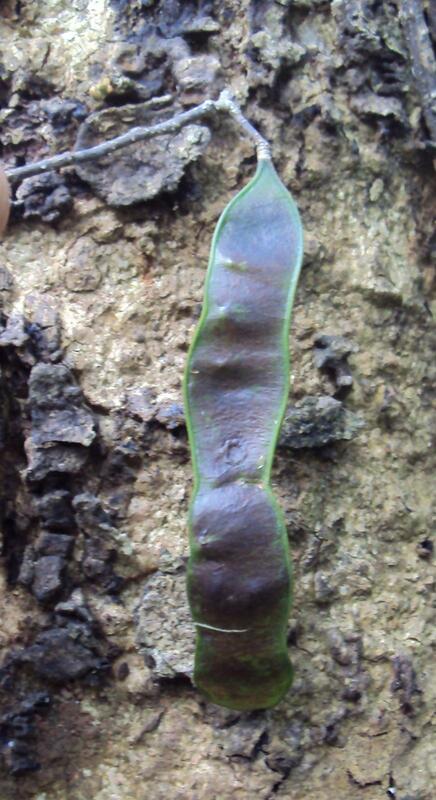 Leaves are bipinnate with a stout, lenticellate, glabrescent rachis, about 10-25 cm long, bearing 4-14(-20) pairs of puberulous, 4-14 cm long pinnae. Each pinna bears (10-)20-30(-45) pairs of opposite, sessile leaflets, 6-10 mm x 1.5-3 mm, with a sharply acute apex and an obtuse base. The inflorescences consist of stalked heads aggregated into terminal, yellow-green panicle. The peduncle is 1-3 cm long, up to 5 in clusters, and the glomerule is composed of 10-20 pentamerous, dimorphic flowers. Male flowers are in the center and bisexual flowers are marginal. The fruit is an indehiscent pod, thin, flat, strap-shaped, 6-20 cm long x 2-3 cm wide, reddish or yellowish-brown in colour, glossy, 8-12 seeded. The seeds are flattened ellipsoid, 7(-10) mm x 4-6 mm x 0.5-1 mm, dull dark brown, with a 1 mm wide hilum (Ecocrop, 2017; Orwa et al., 2009). Albizia chinensis is mainly grown in association with other trees such as Paraserianthes falcataria and Erythrina spp. as a shade tree in tea, coffee or shade tolerant herbs plantations. It can be used as a fodder tree, its leaves being readily eaten by goats, though the bark of branchlets remains untouched, possibly because of its high saponin content. A showy tree, Chinese albizia is used as an ornamental in parks and avenues. It is helpful for slope stabilization and soil improvement. Its wood has low density and timber use is limited to house building, light furniture, tea chests and veneers. In India, it can be used in boat building. Chinese albizia is not a valuable firewood (Akkasaeng et al., 2016). Albizia chinensis is native to China, Southeast Asia, Bangladesh and Myanmar. It is naturally found in India, Sri Lanka, Thailand and in Java, Bali and Nusa Tenggara. It can be found from sea level up to an altitude of 1300 (-1800) m. It is cultivated in many tropical countries, such as Borneo, Sumatra and the Philippines (Ecocrop, 2017; Orwa et al., 2009). Chinese albizia, like Moluccan albizia (Falcataria moluccana) thrives on many soils, from alluvial soils to very poor sandy mining soils or white soils. It still grows on soils with high pH and has some salt tolerance (Orwa et al., 2009). It does well in places where annual rainfall ranges from 2000 to 5000 mm. It grows well with an average annual temperature of 20-28°C but it still grows with extreme temperatures ranging between -1°C and 43°C. Chinese albizia is more resistant to wind than Moluccan albizia (Ecocrop, 2017; Akkasaeng et al., 2016; Duke, 1983). Information about DM yield of Chinese albizia is scarce. Reported annual yields under favourable conditions were 454 g DM/tree for leaves and 584 g DM/tree for stems. In North-Eastern Thailand, the yields decreased to 360 g DM/tree and 480 g DM/tree for leaves and stems respectively with 1200 mm rainfall (Akkasaeng et al., 2016). Albizia chinensis is mostly propagated by seeds which should be scarified or soaked prior to sowing in order to prevent very low germination rates (5-7%). Sowing should be done in nurseries and the seedlings can be planted out after 6-8 weeks, on a fertilized bed, at 7-15 m intervals in tea plantations and at 3 m x 1 m when Chinese albizia is intended for fodder production. Young plants grow very quickly (up to 1.5 m within the year of planting) and nodulate readily and effectively. However, they should be weeded regularly till they reach a height of 1 m. Trees grown for shade are left to grow to about 7 m tall and are then cut back to 4 m. The trees can be harvested for fodder twice a year during the growing season by cutting the stem (Orwa et al., 2009; Akkasaeng et al., 2016). Albizia chinensis nodulates quickly and profusely and is an effective N-fixing tree. Leaf shed provides organic matter to the soil and the tree is useful for slope stabilization (Orwa et al., 2009; Akkasaeng et al., 2016). There is limited data on the nutritional value of Chinese albizia. The protein content of leaves is quite high (15-26% DM) but the fibre content is very high, particularly ADF (40% DM) and lignin (30% DM), which may limit its value for livestock. 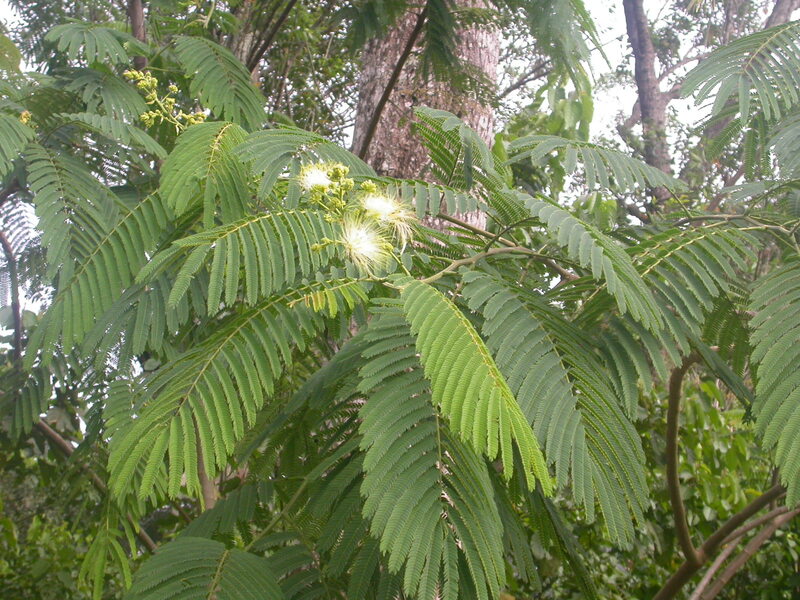 Albizia chinensis leaves in the early stages may be toxic to animals. In India, calves fed 53 g/kg BW immature leaves showed symptoms of dullness, depression, inappetence, anorexia, decreased water intake, ruminal atony and loose mucoid faeces. Rumen motility, total protozoal count and protozoal motility were reduced or suppressed. Blood parameters were altered. One calf died and the other recovered after being treated with a saline purgative, ruminotorics, 5% dextrose saline and rumen cud (Manuja et al., 2001). 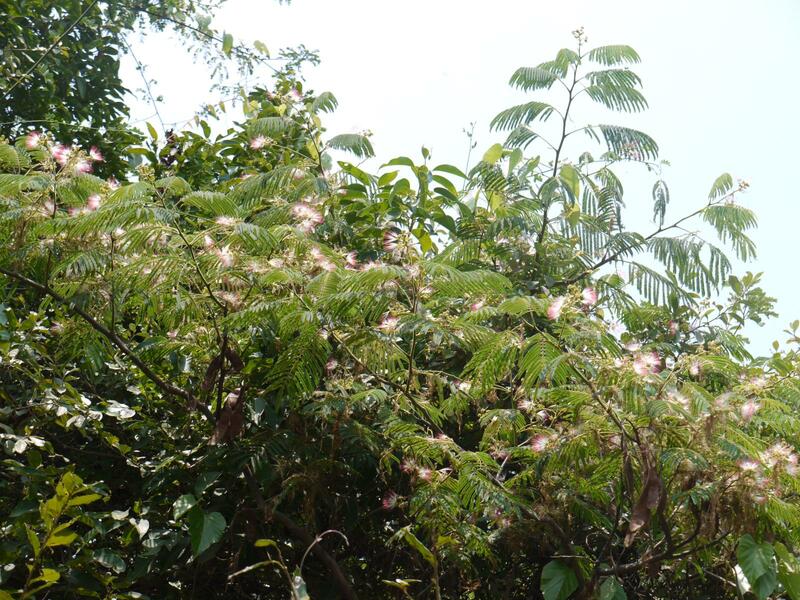 Chinese albizia (Albizia chinensis) was reported to be an important browse tree in hilly areas of India. In the high altitude states of India it is combined with other tree forages (e.g. Acacia catechu, Artocarpus lakoocha, Bauhinia variegata, Dendrocalamus hamiltonii, Ficus roxburghii, Grewia optiva, Leucaena leucocephala, Morus alba and Quercus incana) to make the integral part of ruminant diets (Sahoo et al., 2010). The branches can be lopped for fodder at the end of the growing season when the leaves are past their succulent stage as they may be toxic to livestock (see Potential constraints above) (Manuja et al., 2001; Göhl, 1982). However, literature is relatively scarce on its use as fodder and it reported Chinese albizia to have a poor feeding value. 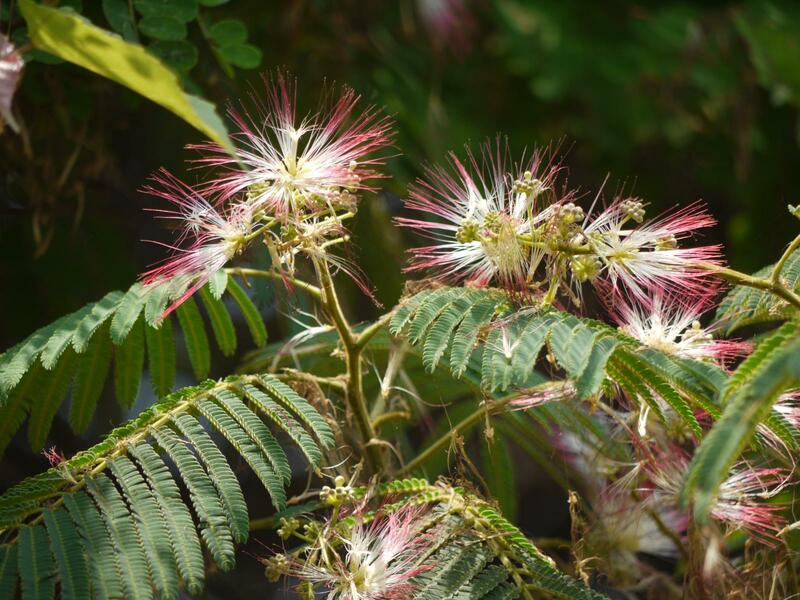 During the assessment of different forage trees in India, Chinese albizia was found to have high DM digestion rate with a high rapidly soluble fraction. It was found to have low potential extent of digestion (3%), possibly due to a high lignin content which resulted in low NDF digestion rate. The greater amounts of potentially digestible cell wall remaining at 48 h in Chinese albizia suggested that this forage would limit animal intake due to greater rumen fill, because indigestible matter is a primary limitation in rumen digesta turnover and, as such, appears to be quite inferior to other forage trees such as mulberry (Morus alba), Grewia optiva, and Celtis australis to support performance of ruminants (Singh et al., 1989). 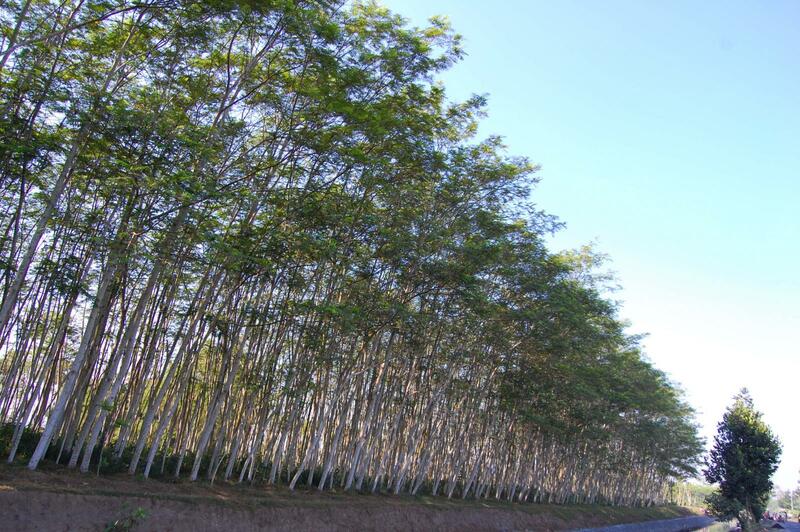 In spite of a relatively high protein content, Chinese albizia had relatively low in vitro degradable nitrogen in comparison to other tree forages (Sahoo et al., 2010). This was in accordance with previous observations where Chinese albizia was found to have high binding capacity with condensed tannins but also further effective dissociation of the tannin-protein complex throughout the gastrointestinal tract (Diaz-Hernandez et al., 1997). The in sacco N digestibility of Chinese albizia measured in goats fed a rice straw basal diet was also low. It was shown that oven drying the foliage could significantly (+ 35%) increase this parameter (Ahn et al., 1989). When goats fed ad libitum Guinea grass received a supplement of 100 g DM/d of Chinese albizia foliage, this supplement had no positive effect on feed intake. Chinese albizia supplementation increased N digestibility but goats remained in negative N balance. In this experiment Chinese albizia leaves had a low rumen degradability (39% after 48 h in the rumen) which was consistent with other results (Ash, 1990). No information seems available in the international literature on the use of forage of Albizia chinensis in rabbit feeding. Since this forage can be used in cut-and-carry systems to feed ruminants, particularly goats (see Ruminants above), it could certainly be used for rabbits in the same manner. The presence of condensed tannins and saponins is not a source of health disturbance for rabbits (Cheeke, 1987; Gidenne, 2015). The only expected consequence is a low digestibility of proteins. Thus, in areas where this forage tree is available, it should be considered mainly as a source of fibre with a moderate contribution to dietary digestible protein supply.